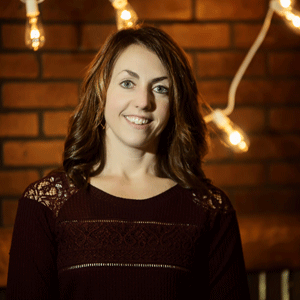 Karole is the Family Ministry Director at River Ridge. She oversees the ministries for birth-5th grade. Her focus is not only to minister to kids on Sunday mornings but also to inspire and equip parents to minister to their kids at home 7 days per week. Karole loves equipping leaders with the vision and mission of River Ridge’s Family Ministry process. Karole worked as a school counselor for 5 years with at-risk youth before joining the team. Working in full-time ministry has always been her desire. She knew immediately that God was leading her to join the staff team at River Ridge when the position became available. Karole and her husband Blair spent 2 years in full-time ministry to college students in Kosice, Slovakia in 2004-2006 with Campus Crusade for Christ. Karole grew up in Sissonville, WV and earned a BA in counseling and an MA in school counseling from Marshall University. Karole attempts to squeeze in time to run a few days per week while parenting 3 children. She loves to read (attempts to read a novel once per year at the beach) and imagines many house projects that she admits will likely never happen due to a busy family schedule.